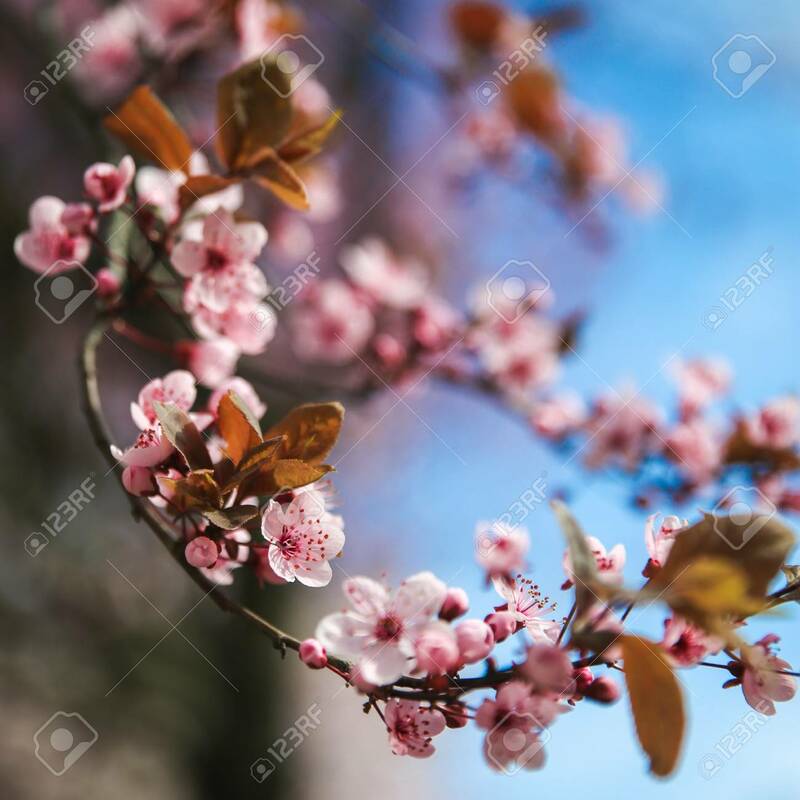 Immagini Stock - Spring Blossom Border With Pink Blooming Tree. Beautiful Nature Scene With Flowers On Tree And Sun Flare. Sunny Day. Beautiful Orchard. Abstract Blurred Background. Springtime Image 115535728.